Lawmakers are being asked to consider two competing proposals surrounding access to dental care. One would allow mid-level practitioners to be licensed, while the other would provide incentives to would-be dentists. A coalition called Floridians for Dental Access wants the Florida Legislature to allow licenses for dental therapists. Therapists have more training than a dental hygienist and less training than a dentist. 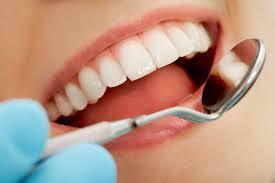 They can perform services like filling cavities and pulling teeth. His plea to reporters at the Capitol came as the James Madison Institute (JMI), a Tallahassee think tank, issued a policy brief focused on the need for dental therapists all over Florida. “63 of the 67 counties have areas within the county that are designated as shortage areas for oral healthcare,” says Sal Nuzzo, JMI’s Vice President of Policy and co-author of the report. He says there aren’t enough dentists in Florida, and too few of them accept Medicaid. That's where dental therapists could help fill the gap. Nuzzo says there are areas of Florida where a dentist can’t be found within a one-hour drive. The issue got his attention when he heard about a 12-year-old Maryland boy on Medicaid who couldn’t get treatment for a tooth infection. A trip to the ER couldn’t save him. The Florida Dental Association is supporting a different proposal. Chief legislative officer Joe Anne Hart says the bill will help dentists who are just starting out while also fulfilling the needs of those on Medicaid. Hart says creating a licensing program for a new type of dental provider will increase regulations and costs, and she says mid-level providers can’t compete with a dentist’s level of knowledge. The James Madison Institute report cites federal data showing more than five and a half million Floridians live in areas with documented dentist shortages. If approved, dental therapists would work under the supervision of a dentist without that dentist having to be in the office. Dental therapists would be trained to perform approximately 100 procedures, which is twice as many as a dental hygienist.